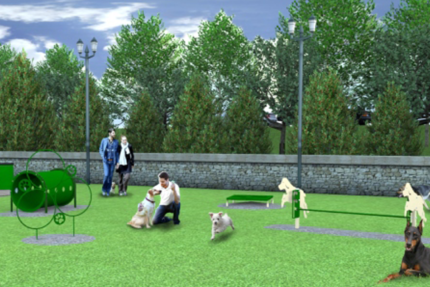 Off leash dog parks are among the fastest growing trends in urban park design with an estimated 34% increase in recent years. 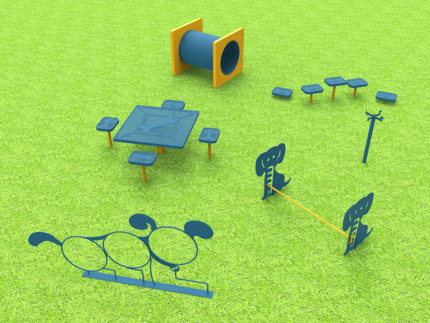 Save big and save time with Adventure Playground Systems wide selection of expertly configured pre planned course kits. Your guests are sure to bring out the champ in every furry friend. 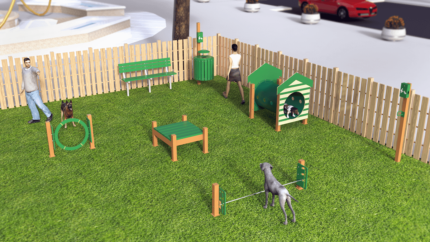 Watch your pet’s confidence grow and meet other pet lovers while enjoying an afternoon in the sun. 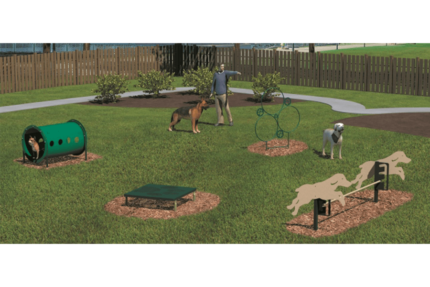 Adventure Play Systems commercial dog park course kits are a great option if you want to create a community destination for pet owners and dogs alike. 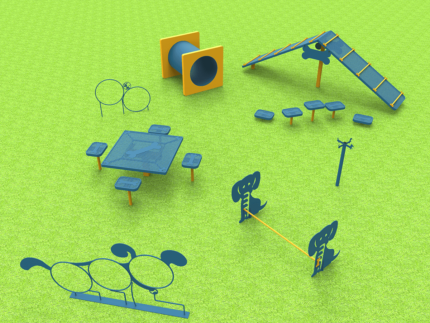 Save on time and budget with Adventure Playground Systems wide selection of expertly configured preplanned course kits. Each course concentrates on a wide range of training including; Gross and fine motor skills, reasoning, balance and more. 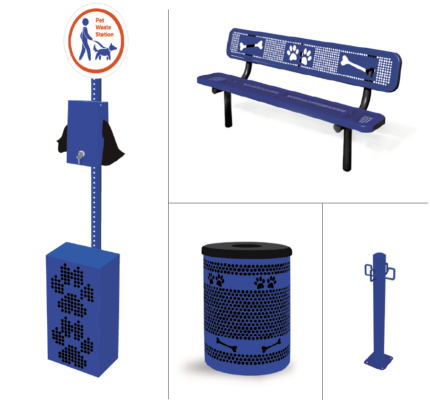 Coated with CanineCoat or Paw Protect, both specially designed thermoplastic coatings made to be slip resistant, durable, UV protected, and urine resistant- specifically with pups in mind. 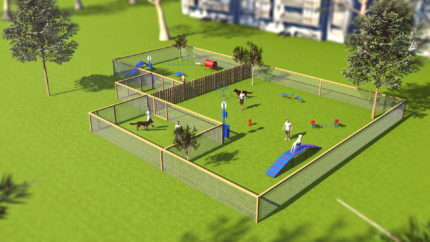 Our Dog Park Course Kits offer tailored convenience and are adjusted for size and ability level of perspective guests. 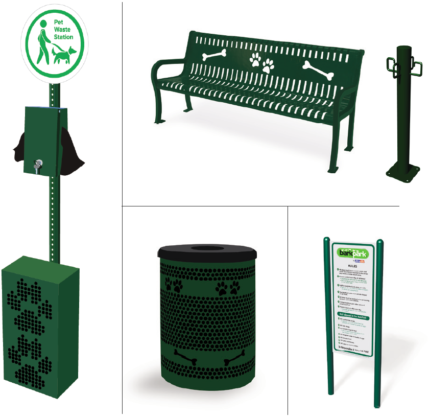 We even offer recycled course kits for communities looking to add a environmentally friendly park addition. 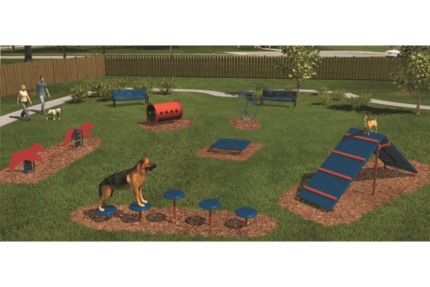 Adventure Playground Systems offer a wide variety of pre-configured equipment and layouts to fit the needs of every organization. 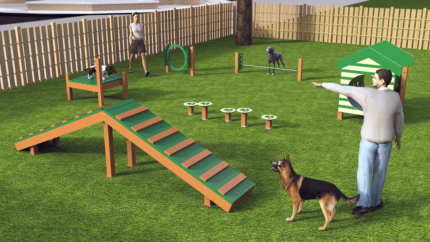 Our Dog Course Kits can help you set up a fun and secure pet recreation area in a park, near a playground or anywhere your community values pet play. 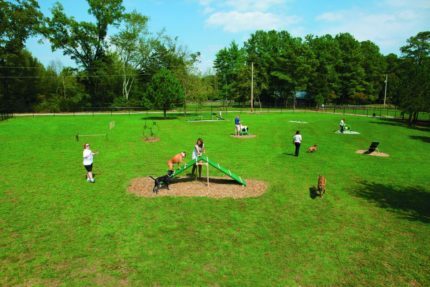 As one of the top dog park equipment suppliers, Adventure Playground Systems offers a range of equipment, as well as customized service and support. 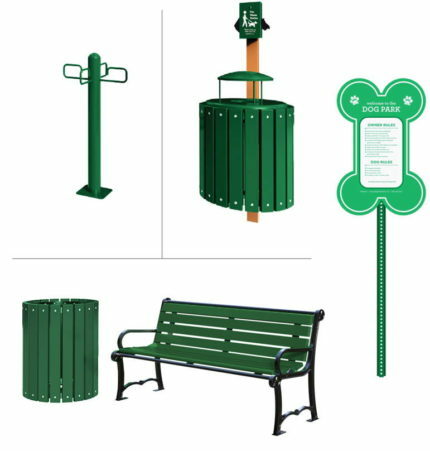 If you’d like help finding quality dog park equipment and accessories, contact us for guidance and assistance. You can contact an Adventure Play Expert today by calling us at 1.888.935.2112 or filling out our online contact form. We’ll be happy to answer your questions and walk you through the process of finding the right equipment for your park.